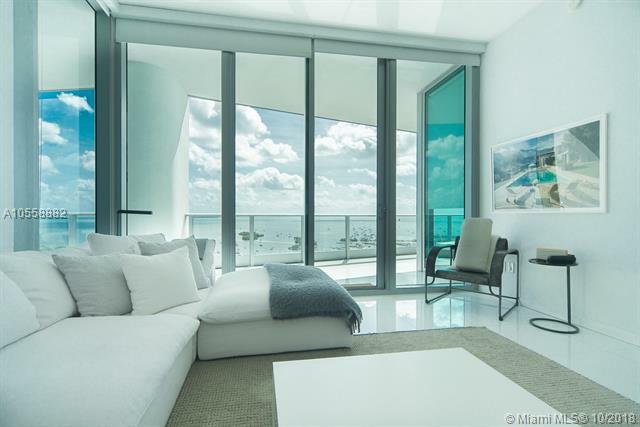 Gazing out above biscayne bay, this ph with 12 window walls capitalizes on the views and prime location. 24 x 48 italian striato porcelain flooring carries into ph from private elevator foyer. Features a large 2 bed and den plan that can be converted into 3 beds, flowing living, dining and master bed that capture the vistas, custom kitchen with marble counters, subzero fridge and wolf gas range. Comes with parking. Park grove offers effortless high end living with 50,000 sqft of world-class resort amenities on 5+ acres. Amenities include wellness lounge, fitness rooms, spa, steam, sauna, 500 ft. Of pool with cabanas, media room, valet, concierge and more. Beautifully redone penthouse apartment w floor to ceiling windows offering spectacular water and downtown miami skyline city views. Remodeled to perfection w the finest finishes and details this gorgeous unit has high ceilings and doors, wide hallways, large laundry room, gourmet kitchen, den/office or 3rd bedroom, custom built ins, redone baths incl. Two master bathrooms. Located in the highly coveted gables club with 5 star amenities: 4 tennis courts, 2 pools, valet parking 24/7 guard gate and concierge, private elevator, club house and restaurant. This apartment must be seen to be believed. It is absolutely gorgeous! Park grove represents what is possible when the sophistication and artistry of pritzker prize-winning architect rem koolhaas/oma is given a 5-acre waterfront canvas in coconut grove the most naturally beautiful part of miami and home to its wealthiest residents. Park groves koolhaas-designed amenities surpass what any project in miami has ever offered in terms of the opportunity to be able to live a curated, highly engaged life. Ready to move in spring 2018. 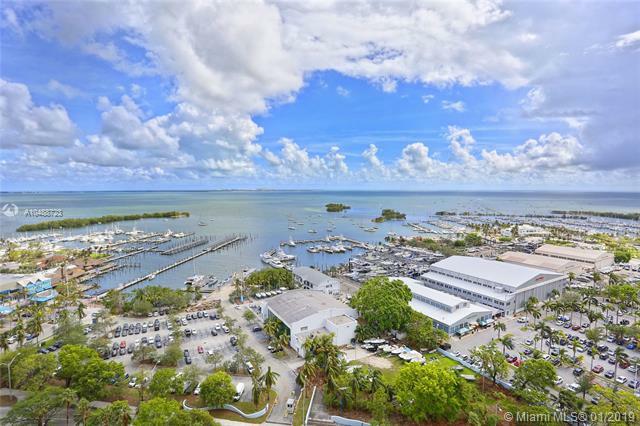 Unique 3 story th overlooking the bay w/ a 40' deeded dock! No expense spared in this contemporary oasis offering luxury waterfront living & the privacy of a boutique community. No fixed bridges stand in the way of being just minutes from the sparkling bay and atlantic ocean. This 2 bd + den, 3. 5 ba home features top of the line designer finishes, 1,870 sqft, 4 balconies, & plenty of private outdoor space. Den can easily be converted into a 3rd bedroom. Sleek kitchen is perfect for entertaining w/ subzero & jenn-air appliances, wine cooler, & waterfall countertop. Floating staircase leads to your master suite w/ spa like master bath featuring his and her sinks & oversized soaking tub. Rare opportunity to live in the heart of coconut grove near the best parks, shopping, restaurants & more! Step inside this one-of-a-kind coconut grove gem at residences at vizcaya. Enjoy the unique open floorplan with vast living spaces, natural sunlight streaming in through the covered balcony, and lush garden views throughout. Upgraded and decorated to perfection, this property offers quality finishes and fixtures throughout; mia cucina italian glass kitchen, miele stainless steel appliances, 48x48 white glass flooring, oak wood accent walls, lutron lighting, integrated av system, mia cucina closets & 2 covered private parking spaces with a parking lift for a 3rd vehicle. Lowest price per square foot in the exclusive boutique waterfront building. A true must-see deal. Direct bay and grove marina views from every room. Private foyer entrance into a hardly lived in 2 bed /2. 5 bath with extra high ceilings bringing in extra brightness and light throughout the apartment. Spacious master bedroom offers his and hers walking closets with a very large bathroom. This very desirable floor plan unit comes with a large open kitchen and a separate laundry room. Grovenor house offers incomparable amenities that include tennis court, kids playground, dog park, resort style pool, cabanas, fitness center, spa and much more!! Easy to show.